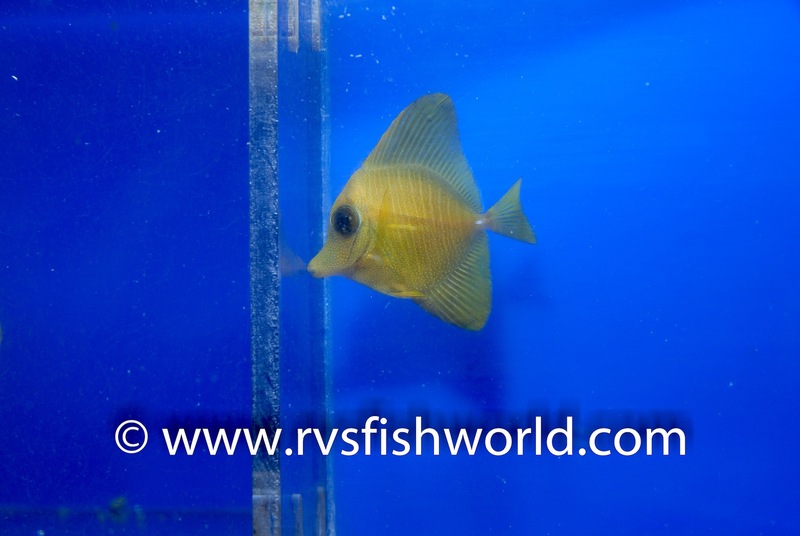 Scopas tangs (Zebrasoma scopas) seem to come in an unending variety of colors and patterns. Whether they be hybrids between two similar species, multicolor mutatants, or just different enough to catch our eye, the fish continue to be walk that thin line between what is considered uniquely beautiful and grotesquely bizarre. 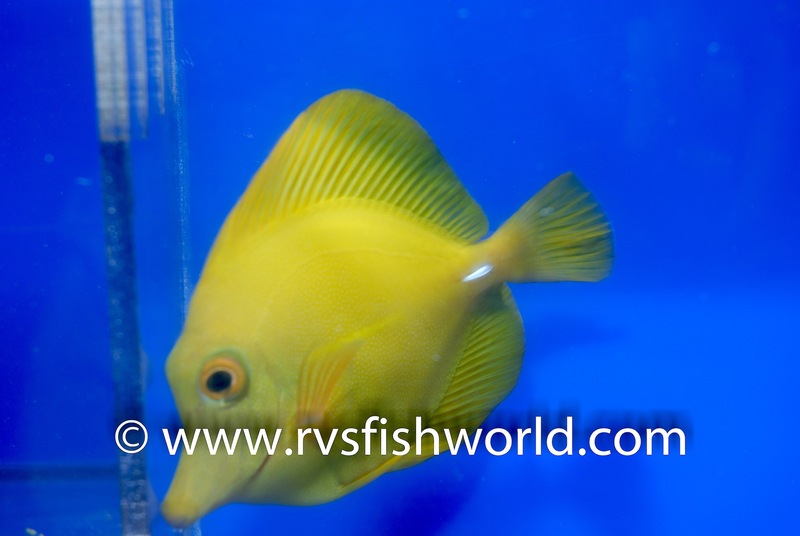 The latest Scopas weirdos, which come to us from Barnett Shutman from CV Neptune Marine, are actually entirely yellow, or xanthic, scopas tangs. 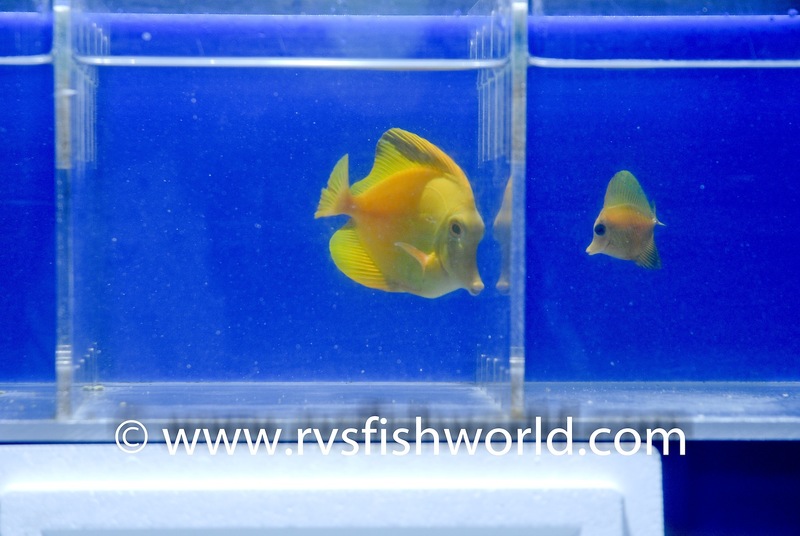 The two fish, a juvenile and an adult, look almost identical to their yellow tang cousins (Z. flavescens), and their coloration is either further evidence of hybridization between the two species or gives more credence to the idea that the two species are actually one in the same instead of being two distinct species…just depends on how you look at it. For the record, there is some DNA evidence that Z. scopas and Z. flavescens are actually the same species, but that’s for another time. Regardless of all that chatter, these fish are still pretty cool looking. Both individuals, which have received the moniker Banana Yellow Scopus Tang, were collected in the Katakian Islands in Quezon Province, which is located in the northeastern part of the Philippines. 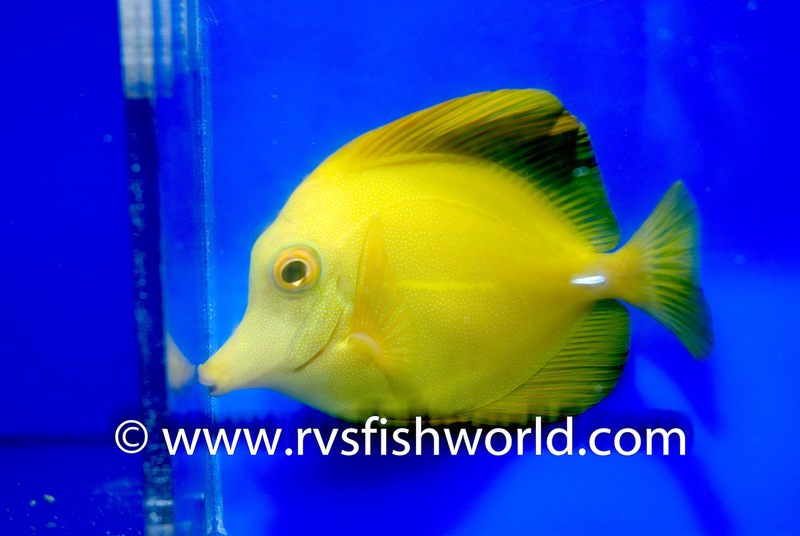 There’s no details on where these fish are going and how much they will cost, but other Scopas hybrids and similar offcolor tangs have gone for over $100 at the retail level. A few more images can be seen after the break. Please note that we slightly increased the contrast of the images as they were bright and cloudy looking due to microbubbles in the water.